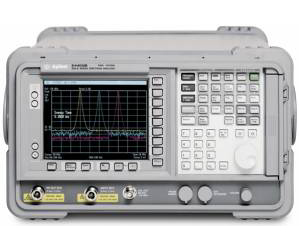 The ESA-E Series is the Agilent mid-performance spectrum analyzer solution for the future. The series sets the performance standards in measurement speed, dynamic range, accuracy, and resolving power for similarly priced products. Its flexible platform design enables R&D, manufacturing, and field service engineers to customize the product to meet specific testing needs and to upgrade the product with new features when required.